Information technology, and the hardware and software associated with the IT industry, are an integral part of every major global economy. The information technology industry is one of the most robust industries in the world and It is greater than any other industry, has an elevated productivity, mainly in the developed world . Information technology is applied in every aspect of economies, government and society. It can be used in businesses, for communication including telecasting, for education, transportation, agriculture, mining, banking and advertising. By 2022, The Business Research Company expects the information technology market to account for 9% of the gross world product (GWP). 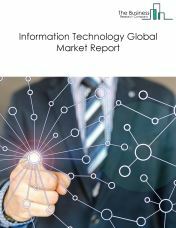 The information technology (IT) market consists of sales of information technology (IT) services by entities (organizations, sole traders and partnerships) that apply computers, computer peripherals and telecommunications equipment to store, retrieve, transmit and maneuver data. The IT market involves services such as computer networking, broadcasting, systems design services and information distribution technologies like television and telephones and equipment used during the process. This market includes segments such as IT services, computer hardware and telecom. The IT market also includes sales of goods such as computers, computer peripherals and telecommunications equipment which are used in providing IT services. 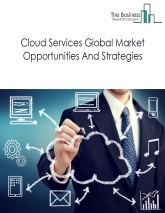 The IT services market consists of sales of IT services by entities (organizations, sole traders and partnerships) that apply technical expertise and knowledge to enable organizations to create, manage and optimize their IT processes. 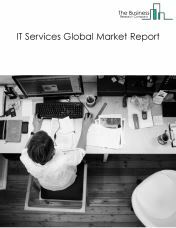 The information technology services market breaks down into custom computer programming services, computer systems design services and computer related services. This market includes sales of related goods. 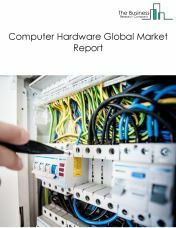 The computer hardware manufacturing market consists of sales of computer hardware by entities (organizations, sole traders and partnerships) that manufacture computer hardware including digital equipment for everyday use in homes and for performing day to day activities in offices, such as personal computers (PCs) laptops and tablets, computer storage devices, peripheral equipment, system design services and related services. The computer hardware market includes servers and processors but does not include embedded systems used in automobiles and manufacturing plants. 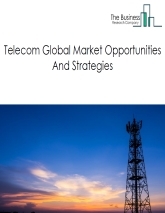 The telecom market consists of sales of telecom goods and services by entities (organizations, sole traders and partnerships) that apply communication hardware equipment for the transmission of voice, data, text and video. This market includes segments such as wired telecommunication carriers, wireless telecommunication carriers and communication hardware. Telecom market also includes sales of goods such as GPS equipment, cellular telephone, switching equipment and others. 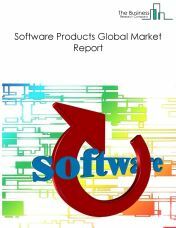 The software product market consists of sales of software products by entities companies (organizations, sole traders and partnerships) that develop, market and distribute software products for commercial and personal use. Software products are usually sold in the form of licenses to use the software for a specified period or permanently. The license generally entitles the buyer to receive updates of the programs. The market includes operating systems and productivity software, database, storage & backup software, business analytics and enterprise software, video game software, and design, editing & rendering software. Companies in this industry create and distribute computer software by designing software, providing documentation, assisting in installation and providing support services to software purchasers. Some businesses design, develop and publish; others only publish. The telecoms market consists of sales of telecoms goods and services by entities (organizations, sole traders and partnerships) that apply communication hardware equipment for the transmission of voice, data, text and video. 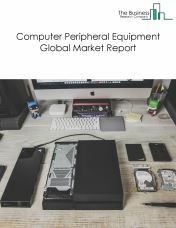 This market includes segments such as wired telecommunications carriers, wireless telecommunications carriers and communications hardware manufacturers. The telecoms market also includes manufacturers’ sales of goods such as GPS equipment, cellular telephones and switching equipment.